Last year when I started Styling the Inside, my intention was to inspire people to create a life that feels good within. I wanted to create a place people could go for a breath of fresh air; a place full of truth, heart, encouragement, inspiration and life lessons. In other words, a place to remind us all to love ourselves and our lives a little more. Despite my lack of computer knowledge, poor typing skills ( I skipped out on typing in grade 8 and never returned) and not knowing a single soul in the blogosphere, I passionately just began. All it took was my burning desire to use my writing to somehow make a difference, and a couple conversations full of encouragement from my best friends, sister, and husband. As soon as my fingers hit the keyboard on my phone ( as previously mentioned my typing skills were lacking and typing from my phone was the most efficient way to write a blog post) I remembered how much I love to write! One day, not too long after I began this passion project, I met Salma from The Write balance at a parent/preschool drop in. I really liked the scarf she was wearing, so I approached her to compliment it. Salma responded with a polite thank you and mentioned wearing the scarf was part of a fashion experiment for her blog. Suddenly an omg -this -is -meant -to -be feeling punched me in the gut, and I replied, “I just started a blog. I don’t know what I’m doing, but I love to write.” Salma kindly said she would love to check it out. Shortly after Salma and I added one another on Facebook, I received a message from Salma saying she really loved the message I was trying to share and that she nominated me for the 2014 Top 30 mom blogger award. I was completely in awe by her kindness, flattered and especially grateful for the nomination. When the voting period began, my best friends and husband were insanely excited for me. They truly believed in me and did everything in their power to help me with votes. In the end, I didn’t end up winning Top mom blogger of the year. Needless to say, I was a runner-up and proud of myself nonetheless. Tamara Goyette over at Discovering Parenthood was 2014 Vancouver Mom Top blogger. Check out her blog. I hope you enjoy it as much as I do! Vancouver Mom hosts an annual Top mom blog event each year. I attended last years with my two best friends, who were so unbelievably proud of me. This is where I met so many other amazing mom bloggers whom I still connect with today and most importantly have formed friendships with. Being a runner-up in last years top 30 mom blog ultimately kick started my blogging career. In addition, last years nomination expanded my network immensely, and many opportunities came my way. 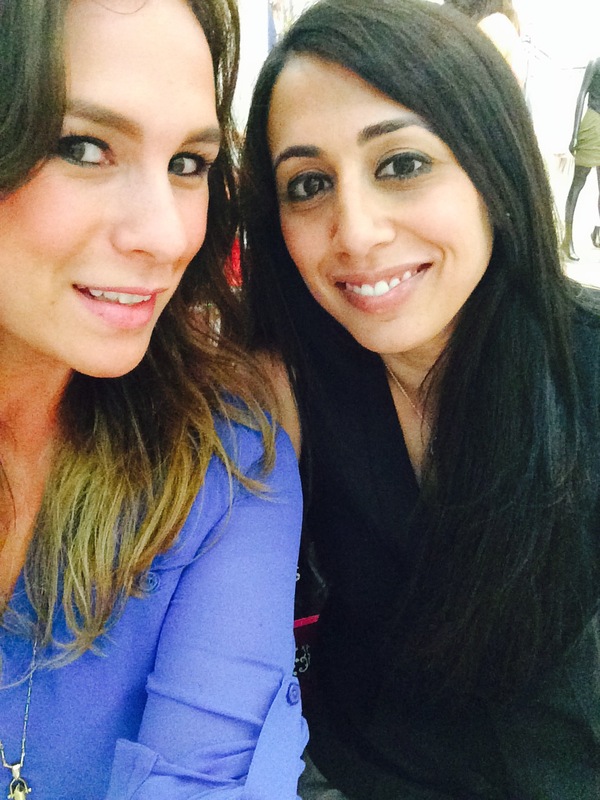 Salma from The Write Balance and I taking a #selfie at last years party. She is the reason I was at the party!! This is the only photo I took at last years event but I met many other mom bloggers there that evening. I’ve been so fortunate to connect with them, and hope to meet much more at this year’s event. I wish all the moms on this years list a massive, heartfelt congratulations. I hope you gain many connections and form friendships.